Welcome to this issue of the Carnival of the Indies blog carnival. This issue is for January, 2019. We welcome your submissions on topics related to writing, self-publishing, book design or marketing books. Editor’s Note: This is the 100th edition of The Carnival of the Indies, and we will be taking note of the long history of this blog feature in an article on February 4th. Watch for it. 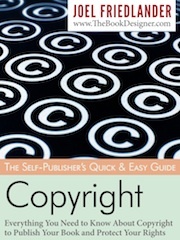 Cate Baum presents Self-Publishing Review is Ten Years Old! An Interview with Founder Henry Baum posted at SPR. Lisa Lawmaster Hess presents Elegy (of Sorts) for a Laptop posted at The Porch Swing Chronicles. Will Entrekin presents Seven Tips for Building Better Book Descriptions posted at Exciting Press Updates. The next issue is February 25, 2019 and the deadline for submissions will be February 15, 2019. Don’t miss it! Yes there’s such amazing content here for Indie’s .. thank goodness we have a month to devour and learn from each before the next edition is posted. Thanks Joel for featuring my article. I love sharing what I learn with other authors. Appreciate the vote of confidence. I especially loved Jay Artale and Doris-Maria Heilmann’s posts. Doris-Maris: I’ve subscribed to your blog. I learned from both of you today things that I was unaware of. Thank you for helping me in my own learning process. Thanks, Frances, good to know! The quality of the articles submitted has made it tough picking the featured posts. Thanks so much Frances .. I’ve been following your social media advice for a while now. So pleased I had the opportunity of giving back!